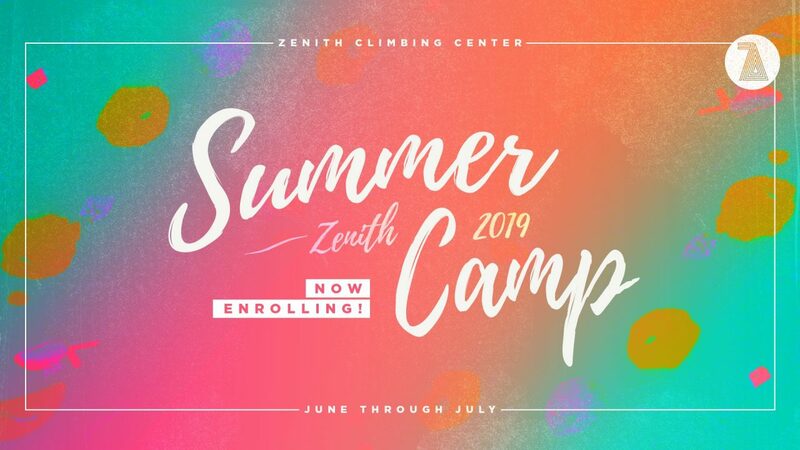 Have the best summer yet, at Zenith Climbing Center! At Zenith Summer Camp, campers literally reach new heights! Our state-of-the-art indoor rock climbing facility offers 9,000 square feet of climbing area. Rock climbing camp introduces kids to rope skills and gives them lots of climbing time. Each action packed day will be carefully supervised by knowledgeable instructors and full of fun-filled activities to improve self-esteem, social skills, and kinesthetic development. No prior climbing experience is necessary! Four-day sessions begin June 4th and run through July 26th. Each camp session runs Tuesday through Friday. Half-day and full-day options are available for most camps. Our Youth Summer Camps are staffed by certified climbing instructors. Check out some highlights from our previous Summer Camps!